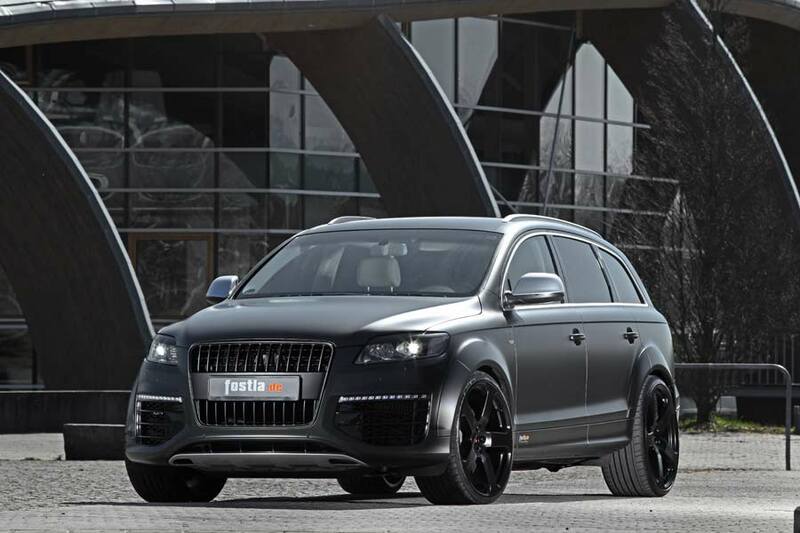 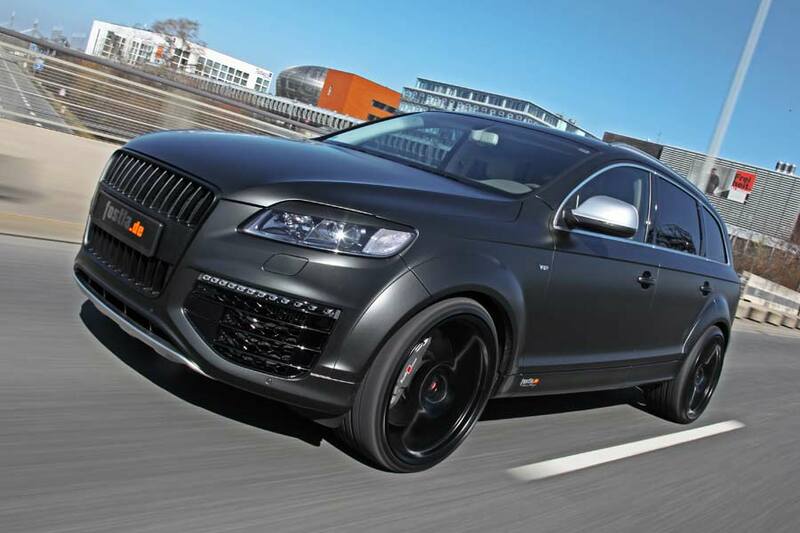 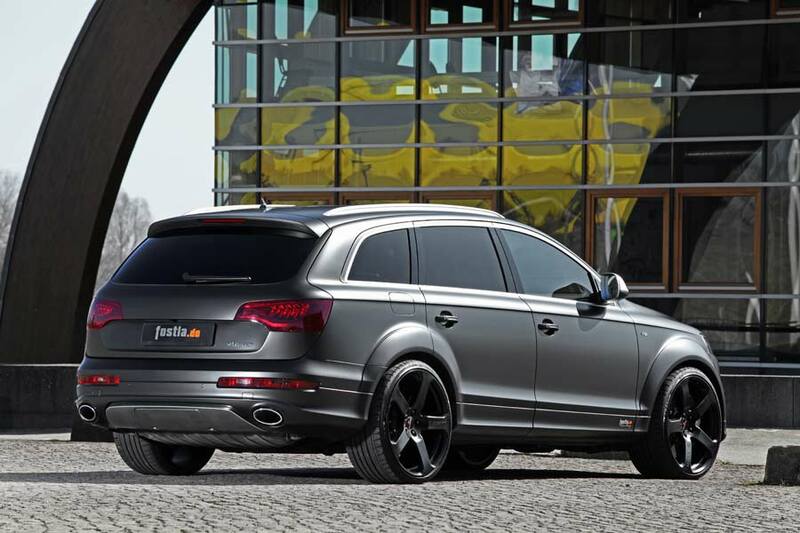 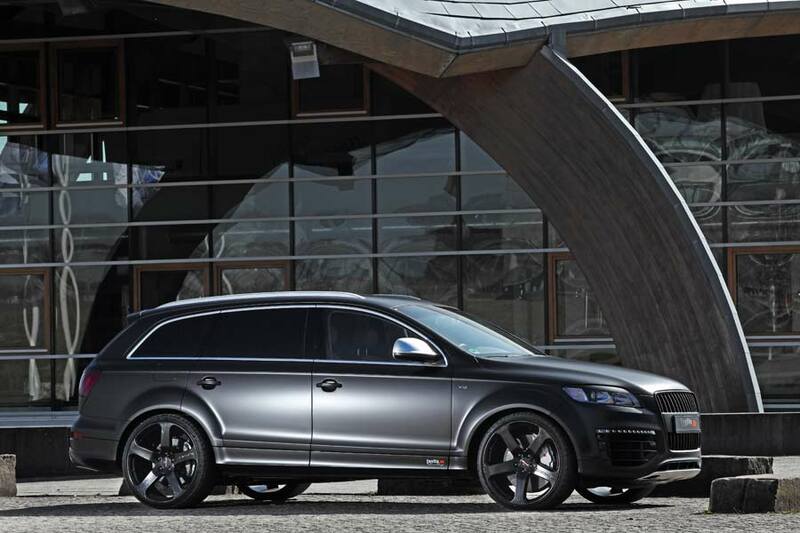 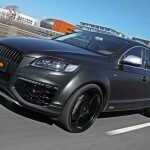 Hannover-based aftermarket specialist Fostla has created this Audi Q7 project to advertise the type of vehicles that it can produce. 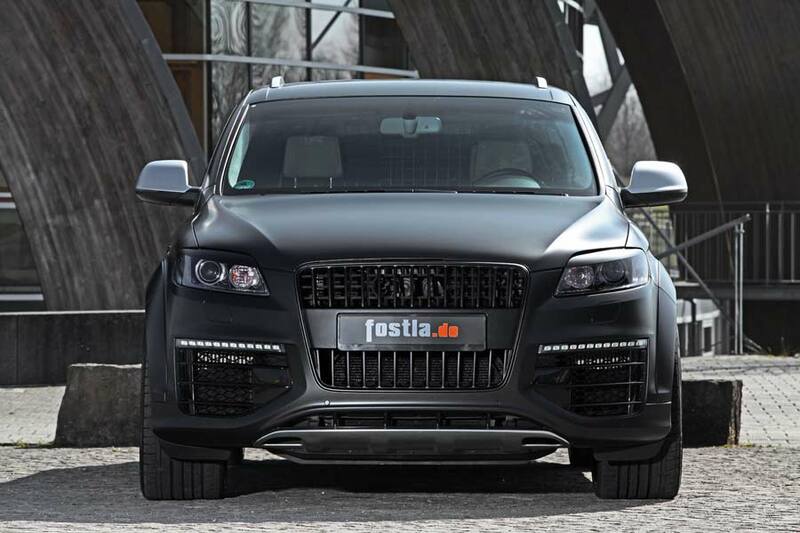 Visually, the Ingolstadt SUV has been wrapped in a diamond black matte PWF foil, with the front and rear lights receiving a 5 percent tint. 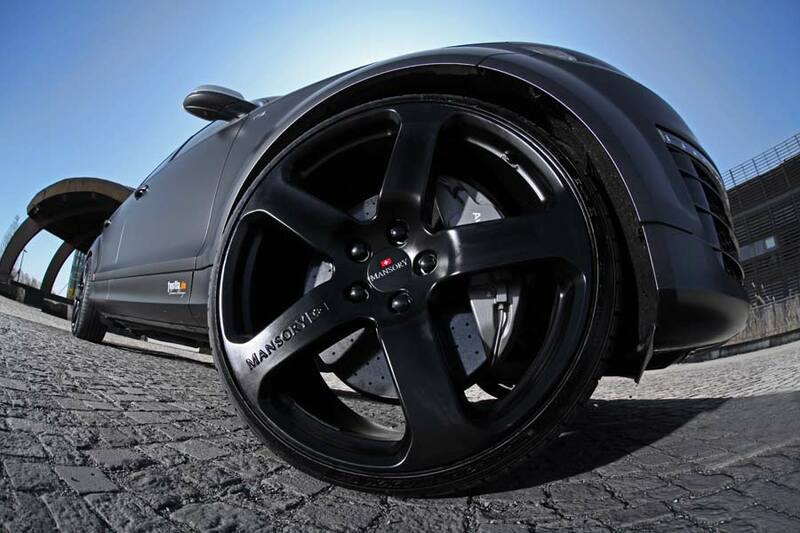 Adding to the Audi’s menace is a set of 11 x 23-inch Mansory C5 wheels, which have been powdercoated matte black and wrapped in 315/25R23 tyres with 15 mm front and 30 mm rear spacers sitting behind them. 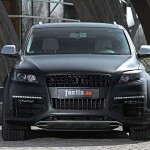 Already generating a biblical 368 kW (500 hp) and 1,000 Nm (758 lb-ft) of torque from its 6.0-litre V12 TDI diesel unit, the company’s tuning program sees those figures rise to 447 kW (600 hp) and 1,150 Nm. 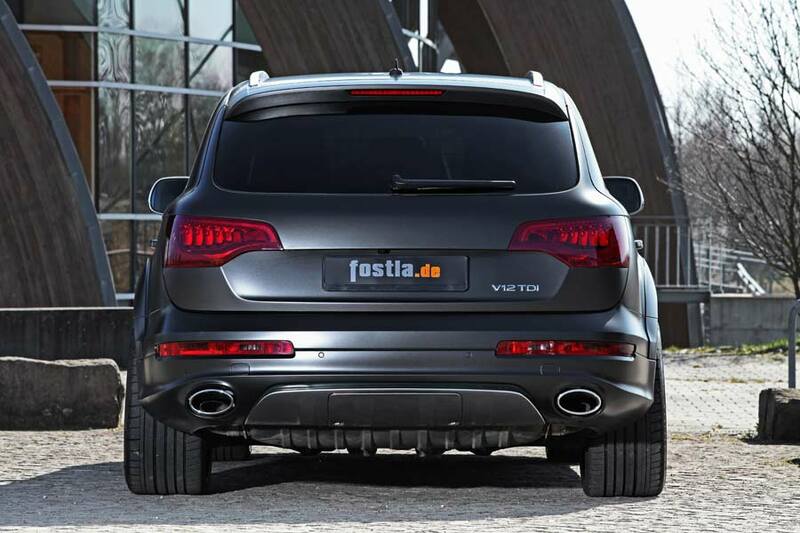 No price has been released for the wheels, but the body wraps begin at € 3,500, while the lovely power upgrade will set you back € 6,000.